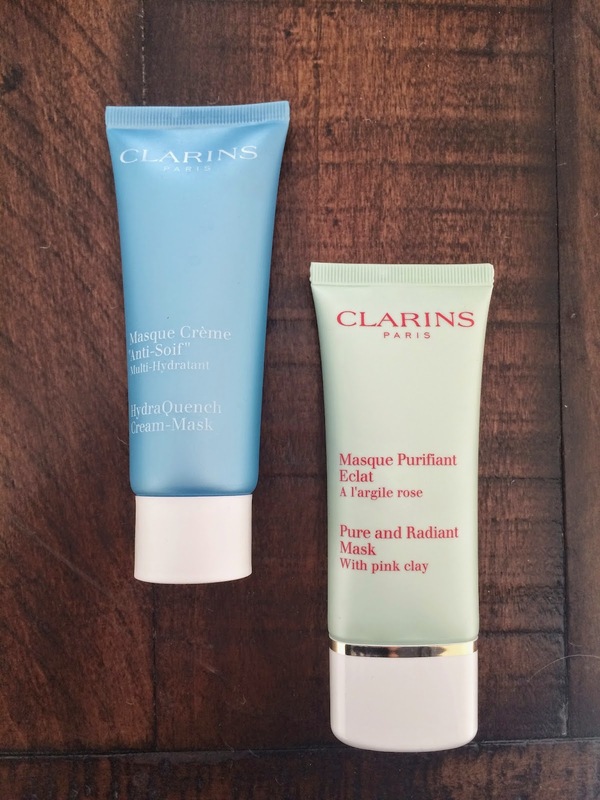 Clarins is having a gift with purchase at Nordstrom right now so I wanted to share some of my must-haves from this brand. 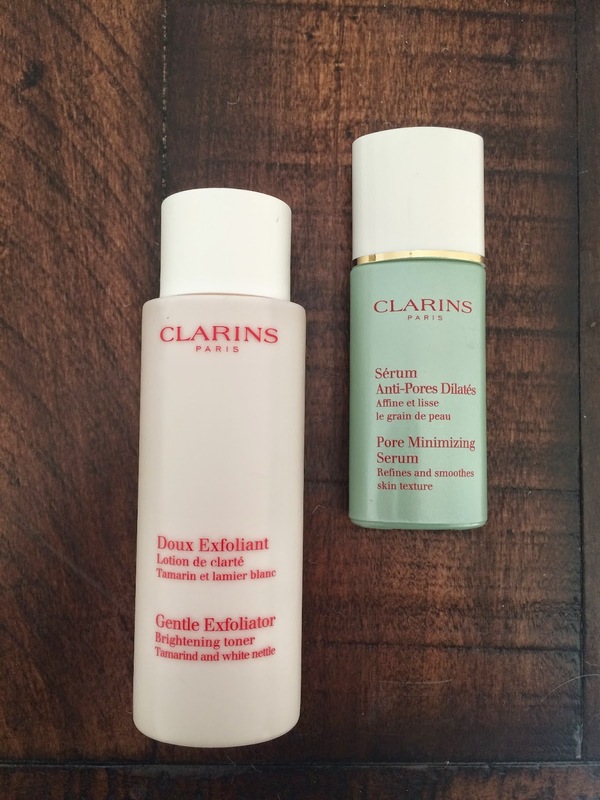 I really love Clarins and have been using them for about 2 years now. 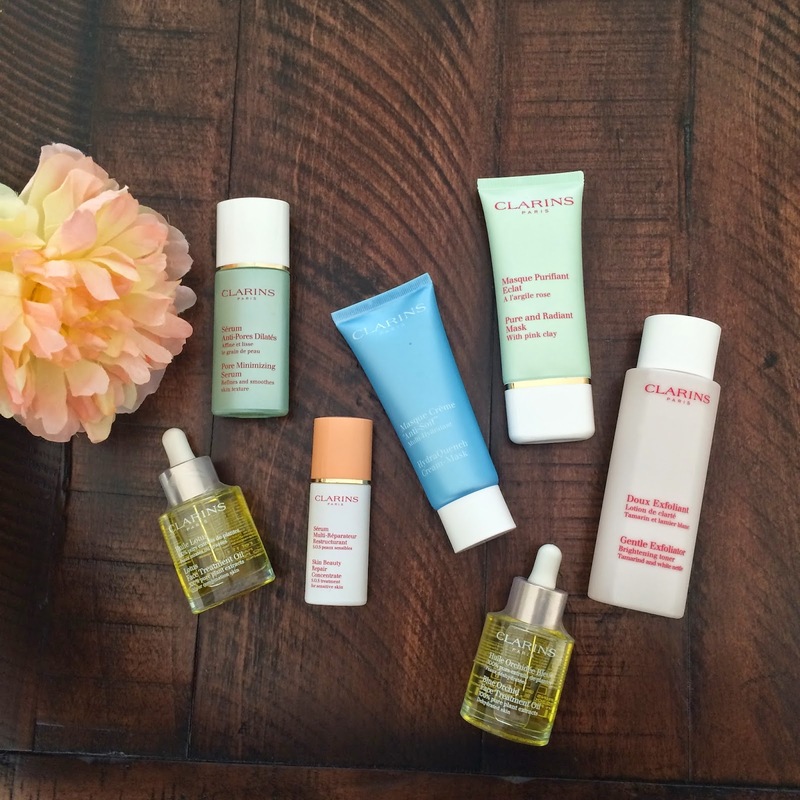 About half of my everyday products are Clarins products and I don’t plan to change that anytime soon. I switch back and forth between two of the face oils but this product, hands down, is the most important part to my skincare routine. My skin can’t live without this… or at least wouldn’t live well! 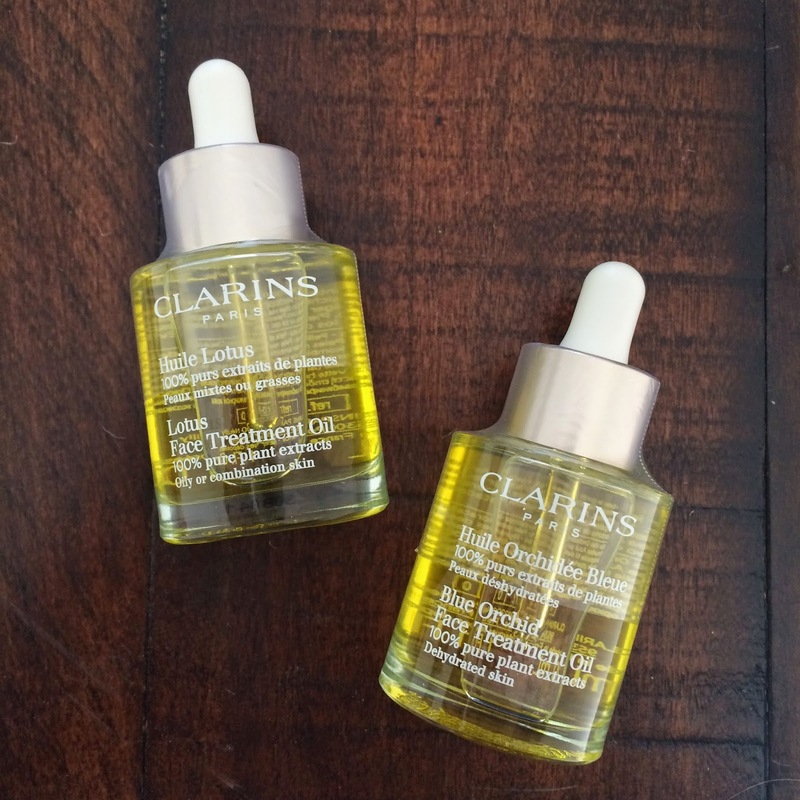 Firstly, I’m obsessed with Clarins Face Oil, which I’ve mentioned before, here. I have dry skin so I use the BlueOrchid Oil everyday, but when I do experience a breakout or we have a hot summer day, I will switch to the Lotus Oil which I find helps with congested skin. Both these oils set great under makeup. I find that when my skin has proper hydration my makeup stays put all day, which this oil is the perfect base for that! Next, I love both these masks! I use the hydraquench mask a few times a month and notice an instant difference in the hydration of my skin after washed off. My skin feels smooth and soft! I recommend this mask to anyone because no matter your skin type, we all have days of needing a boost of hydration and this mask supplies just that. You wont get oily like some other masks, just pure hydration. I also love the pink claymask. This is for oily or congested skin. I don’t normally put this on my entire face because I’m too dry, but I will put it over a pimple area and leave for 20 min or so and when I rinse I notice less redness, a dried out pimple, but not too dry of skin in the surrounding area. It’s a gentle mask for congestion. For those with oily skin, the poreminimizing serum is amazing! My husband uses this (works great for men and women!) daily in the summer and a couple times a week in the winter and has noticed a big difference in his skins balance. He isn’t overly oily, which is why he only uses a couple time a week in winter, but this serum shows signs of smaller pores instantly. Another great product for oiliness or oily spots (great for T-zones) is the gentle exfoliator/brightening toner. I use this about once a week or if we are going out on my t-zone to balance that area of my skin. I love how gentle it is yet effective. I definitely notice a brighter balance in the areas I apply it to. 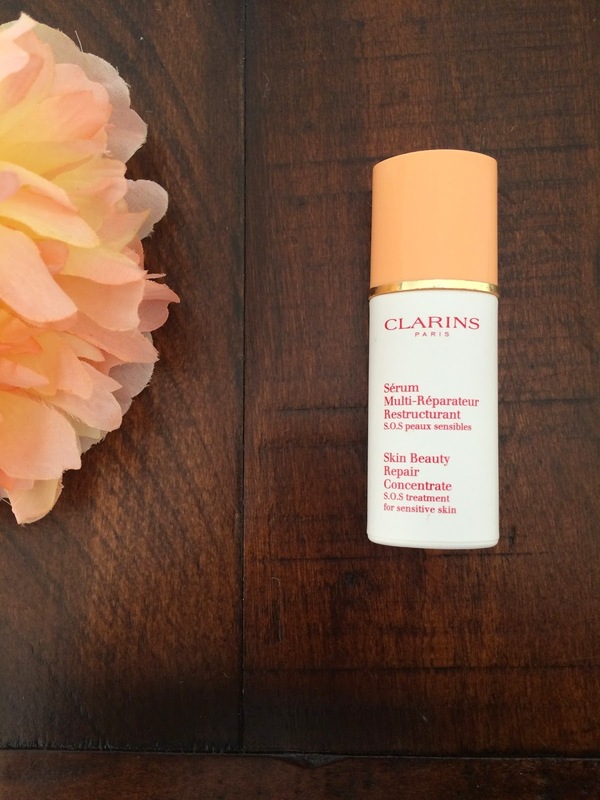 Lastly, Clarins Skin Beauty Repair or SOS treatment is unique to anything else I’ve ever tried. I keep a bottle in our general medicine cabinet and in my bathroom drawer. We have used it on minor burns (my husband hit his arm on a hot motorcycle pipe and I used this… it was minor! ), bug bites, sensitive skin patches, cracked knuckles, and more. I love this product. It’s a little pricey but so worth it!